FleetTraks releases another upgrade, Find The Closest Vehicle, to its Route Mapping Software. When the phone rings in operations, it’s often a customer with an immediate need. These needs often require dispatching a vehicle to the customer’s location right away. FleetTraks makes the life of dispatchers much easier. The release of find the closest vehicle to FleetTraks route mapping software makes dispatching easy. 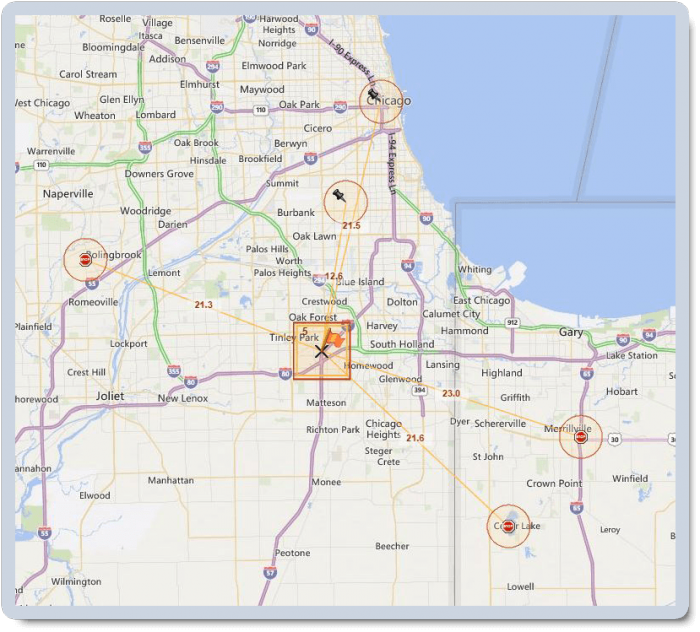 With a few simple keystrokes, dispatchers can view the customer’s location on a map along with the real time GPS location and status of all vehicles. The route mapping software then returns the distance of the five closets vehicles to the customer. By choosing the closest driver, the customer will receive faster receives better service. In addition, productivity is increased when the best vehicle is selected. This reduces payroll and vehicle expense. Finding the closest vehicle is easily. Users can follow these simple steps. a. If the location is unknown, right click anywhere on the map and choose find address. Either type the address or paste it in by using the Control (CTRL) V from the keyboard. 4. FleetTraks will return the closets 5 units within a 25 mile radius. Users may change these settings to return other results. On-going training and support for FleetTraks customers is always provided at no charge. To learn more about this enhancement contact customer support at 877-340-0300 x 290 or email us at support@on-board.com. To learn about how FleetTraks fleet management can make your company more profitable, click on the Sales Inquiry button at the bottom of this page.